poses by elephante poses – dream about flying. photos taken at Immaculate Perception. I have a preview of the A-FREAKIN-DORABLE dress that Paolla from Reverie has made for Uber. Uber will open on the 25th! The fatpack comes with a HUD to change the color of the top, skirt and sweater so you can mix and match. 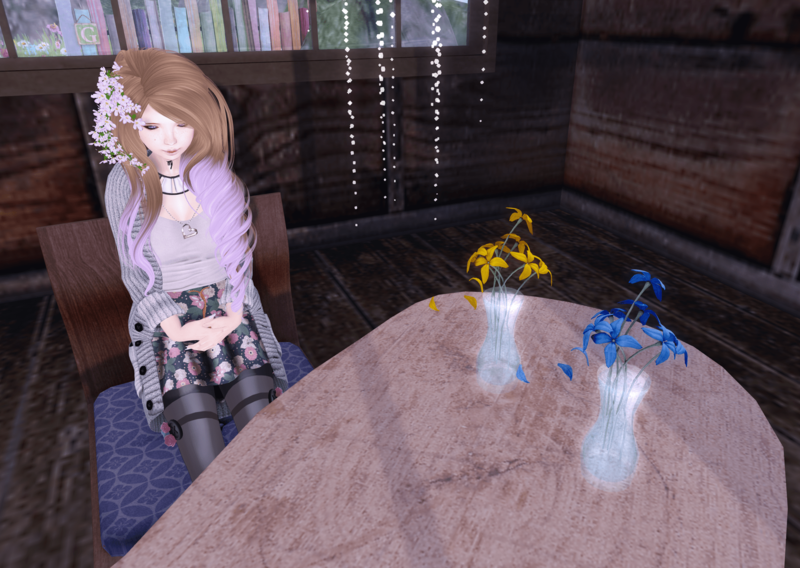 The decor is by Toiz and is available in a gacha at Lost & Found. I’m also sporting some more goodies from The Fantasy Collective. Full details below! 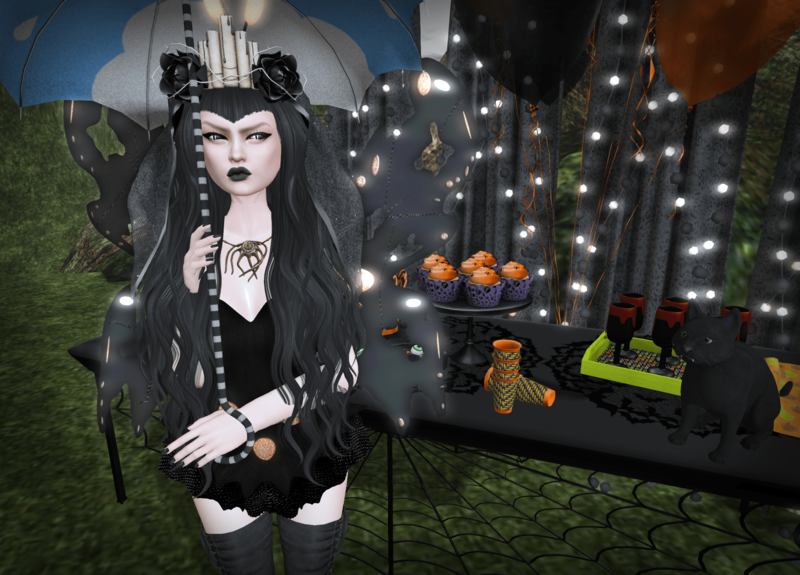 hair: Damselfly – Rainah *new* at The Fantasy Collective. 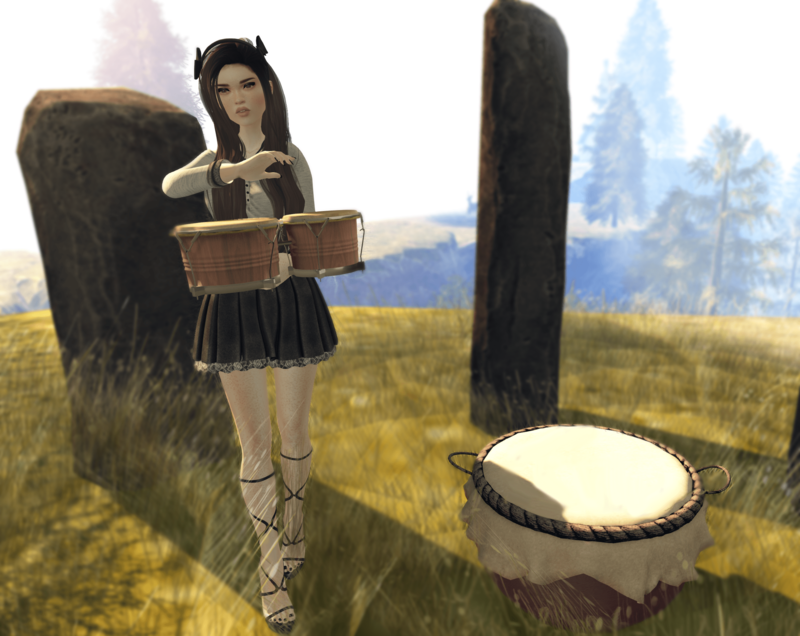 hair flower: ERSCH – Elven Gacha Wreath 1 & 3 RARE *new* at The Fantasy Collective. neck tattoo: IGOTIT – Zodiac Mini Tattoo *new* at The Fantasy Collective. pose and rose prop by La Jolie Rose – Rose poses *new* at The Fantasy Collective. hanging lights: striped mocha – fairy dust pendant *new* at The Fantasy Collective.